The Gap logo story has been playing out for almost a week now. At the time of writing the long term impact on the brand is unknown. What is known is that the reengineering of the Gap logo has cost a lot of money that need not have been spent. In their book Measuring Brand Communication ROI (1997) Don Schultz and Jeffrey Walters describe how marketing now represents 50% or more of a company’s costs, up from roughly 20% after WWII. At the same time, manufacturing and operations have reduced their costs from 50% in the 1950s to in the region of 30% today. This is hardly surprising when we witness such disasters. Why is it that costs are coming down in all departments except marketing? Part of the reason is Brand owners believe that although it makes sense to invest in the most cutting edge technology to improve manufacturing and other processes, when it comes to branding and branding activities such as advertising, marketing, identity and so on, they assume that what worked in the past will work today. So, if creativity and a generous advertising budget was enough to build a brand in the 1970s, then surely it is enough to build a brand in the 2010s? But of course it isn’t. And there are multiple reasons for this but the most dominant reason is the arrival if the Internet. The Internet has transformed supply chains, processes and the way we communicate and more, but most important of all, it has given consumers a chance to play a part in the evolution of a brand. Last week, to much (Gap generated) fanfare, Gap unveiled and launched a new logo that it described as “a more contemporary, modern expression”. The new logo was designed by Trey Laird of the design company Laird and Partners. Laird and partners has worked with DeBeers, Tommy Hilfiger, Calvin Klein and others. Gap spent a fortune, in the mass economy way, creating the new logo, developing an advertising campaign and buying airtime to tell the world about the new logo and what a great and cool company Gap is. A Facebook page was created, essentially to broadcast the same message. Unfortunately customers, consumers, designers and others universally hated it, expressing their feelings via thousands of tweets and, ironically with Facebook messages on the Gap and other often humourous but always derogatory, Facebook pages. Under immense consumer and other pressure and in a matter of days, Gap vowed to return to the original logo. But the company has spent a small fortune developing the new identity and as a result the company had little choice but to go ahead with its upcoming advertising campaign. This is probably because the company has already booked and/or bought the airtime. Yet further wastage of valuable marketing resources. What lessons can aspiring retail or other brands learn from this debacle? 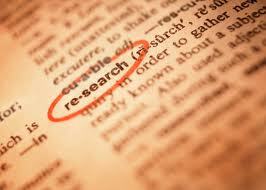 1) Carry out research with customers. Even an established brand must carry out research with customers before making a decision that will impact its relationship with those customers, the people who made the brand what it is. The new logo was tested internally but never externally. Big mistake. 2) Social media is not a fad or to be taken lightly. I get the impression, perhaps wrongly that Gap paid only lip service to Social Media. Social Media CAN effect change so learn to work with it. But remember it is not a soapbox. Simple consumer research at the logo development stage on Facebook and Twitter would have saved the company a lot of money and also improved consumer engagement. 3) Have a strategy for your tactics. Not many new Logos are well received initially. But many of them are now very familiar – Pepsi, Citi, Accenture, Qantas etc. Has Gap done the right thing by giving in to consumer pressure so quickly? It’s too early to tell, but one thing is for sure, they weren’t prepared for the reaction. 4) React quickly and positively. Despite initial fumbling, Gap has reacted well to the situation and is seeking suggestions to improve the logo on Facebook. How they manage the responses and implement any recommendations will have a major impact on the brand going forward. 5) Maintain your stand. Again, Gap has reacted well here. They are letting the initial storm die down whilst making it known that they are seeking recommendations for improvement from customers at the same time. Over the next couple of weeks there will be numerous meetings to review social media chatter. Don’t be surprised if the new logo is retained, perhaps with only minor alterations. 6) Brand identity should not be confused with branding. Gap has had a tough time over the last few years will poor sales and a weak share price only gaining support around US$18. Some industry insiders say the company panicked and thought a quick makeover of the logo, if received positively, could raise the profile of the brand and improve sales. 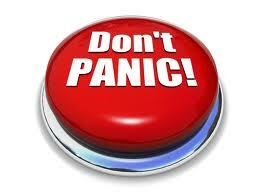 Personally, I don’t believe Gap management is so naive but if its true it may prove to be a costly mistake. It’s too early to tell what will be the impact of this event on the Gap brand. It hasn’t had much of an impact on the share price, even though the financial cost maybe high. One thing is for sure, it is only a matter of time before boardrooms and business owners get fed up with the profligate attitude of traditional marketing departments. Great post. I’d like to add something. Wether they realize it or not, consumers see a change in brand identity as a direct reflection of a change in brand strategy. 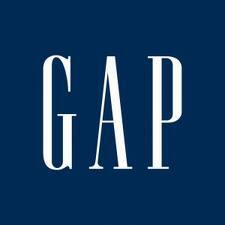 In the case of the Gap, the company failed to communicate any change other than the logo itself. They failed to tell the story behind the new identity and then failed to stand behind it. This told the world that the new identity was nothing more than a facade. The new logo was far from an evolution. It was a significant change, one that appeared to be better suited to IT consulting rather than a fashion retailer. People took notice because the brand signal was “off brand.” A logo is a brand signal. It carries and conveys meaning. In this case, that meaning was a disconnection with consumers. Like many companies, the Gap mistook their advertising for their identity and their identity for their brand. As a result, they will soon join Tropicana in an elite fraternity of brands that didn’t quite get it. The Gap simply doesn’t understand how brand signals work. Brand signals carry and convey meaning. The new gap logo didn’t convey anything other than being “off brand.” A change in brand identity should be proportional to a change in strategy. Consumers quickly see through the facade of change for change sake. This is where the Gap fell short. The notion that people will buy to GAP’s product just because the company changed its logo is beyond comprehension. I mean, I won’t buy a t-shirt or a pair of jeans just because the logo – but rather because the jeans’ cut fits me well, or for the t-shirt, its color or the decal. For a clothing company, if you design a whole range of collection, or use a different material (instead of cotton, use silk or cashmere; for example), or put licensed image on it, than perhaps, it could make a difference. Just a little thought from the incident, it’s interesting that how the consumers have paid closed attention to a brand’s graphical appearance and react so strongly to it. As far as I could recall, most Asians(or it’s just Malaysians?) wouldn’t really care if the brand change their logo, tagline etc. It’s always the promotion, discount etc. that would be related directly to the brand. In most cases, not even creative campaign could be related directly to the brand by consumers. Much of the negative reaction has come from the west and not Asia. Why is that? Perhaps it is because in Asia consumers aren’t so attached to brands? Perhaps because Asian firms are yet to understand the importance of brands and therefore haven’t invested enough in building the relationships required to generate such feelings? Especially in the retail sector where few brands have the heritage of GAP. The new logo was totally lame. I can’t believe it made it as far as it did. It is banal, boring and badly done. The post-modernist (?!) reference the Gap blue box as the sad blue rectangle behind the name — dull. But more importantly, why, pray tell, is a new logo needed, exactly? What about the current market research suggested a new logo would sell yet more poorly/cheaply made-in-China clothing/ badly fashion-forward that may barely last a season and yet be more expensive than H&M? Alienating any consumer older than, seemingly, about 17.5, in the very short life cycle of its product lines, with its ever shortening of shirt lengths combined with lowering of pant waists? Did anyone at GAP ever bother to acknowledge that this is really not a good look for the ever growing (and double meaning intended) U.S. (and sadly international too) population? And so then new logo resulting in a whole bunch of tossing of the old (store signage, labels, etc.) with little thought to the environmental impact of same? On top of the cheaply produced products that are made in the lowest cost production countries, and all that that entails. This is bad strategy and thinking. That logo is of value — incredible value. That current management, being paid, how much? !, reflects much of what is wrong with society today. Wow! Don’t hold back! But I have to agree with you, on all your points. It was a strategic and tactical disaster. Poorly researched, poorly thought through and terribly executed – although the recovery has been good. Once again, a result of creativity creating brand tactics and not data driving brand strategy.